Apex Legends hasn’t even been out for a full day, but players are already uncovering the battle royale’s hidden easter eggs. 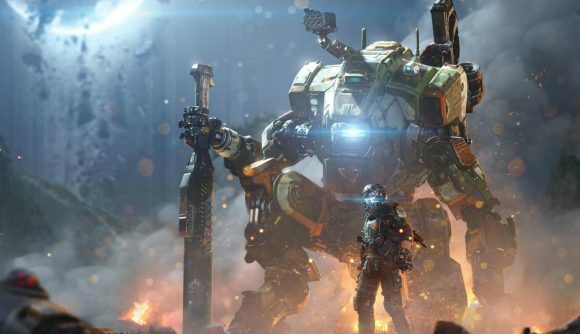 In placing the game’s easter eggs, developer Respawn Entertainment has stayed true to Titanfall tradition. As a result, Scotland’s most famous piece of aquatic folklore makes a triumphant return to the series. Lurking in the corner of the game’s training map, as uncovered by WeaponizedTomato on Reddit, is a what looks like a very small (and slightly weirdly rendered) snake. For fans of Respawn’s previous work, however, that ‘snake’ should be pretty recognisable as serial Titanfall easter egg Nessie. Nessie, the colloquial name for Scotland’s mythical Loch Ness Monster, has featured as an easter egg in all of the studio’s games since the original Titanfall, which released back in 2014. A handful of Nessies appeared in the original game, and the tradition continued with Titanfall 2. In that game, a Nessie shrine could be found beneath one level, with several smaller plush monsters seemingly worshipping a larger figure. Apex Legends got off to a roaring start last night, garnering one million unique players in less than eight hours. Whether it’ll maintain that momentum remains to be seen, but it’s definitely an impressive start. While Apex Legends isn’t Titanfall 3, it does at least have the advantage of being entirely free-to-play, a move that Respawn is hoping will rectify some of the bad feeling from fans of their FPS series.